The universe is so vast it’s almost impossible to picture what it might look like crammed into one field of view. Logarithms help us make sense of huge numbers, and in this case, huge distances. 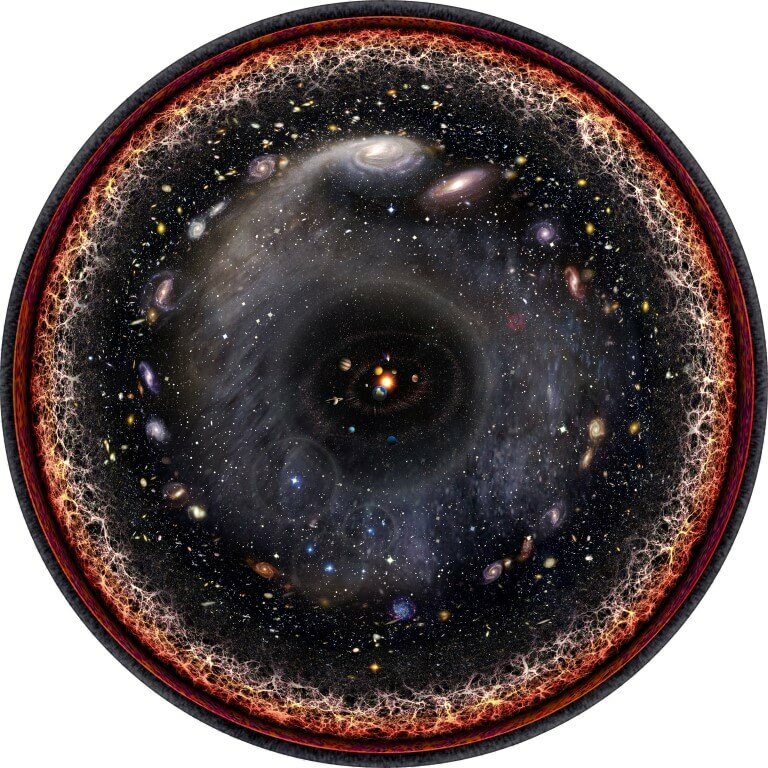 Rather than showing all parts of the universe on a linear scale, each chunk of the circle represents a field of view several orders of magnitude larger than the one before it. That’s why the entire observable universe can fit inside the circle. He released the image into public domain, and has created a few other log scales, too. Has NASA accidentally found an Ancient Sumerian Statue on the Surface of Mars?